A young man from a well respected family he first meets Majeh in a forest when he tried to rob him of all of his belongings. After their confrontation Chung Poong explains to Majeh that back where he lived he was branded as a coward and ran away from home to attend the martial arts tournament to show his family and his village that he not a coward. He then joined Majeh and participated in the Martial Arts Tournament in Nakyang. 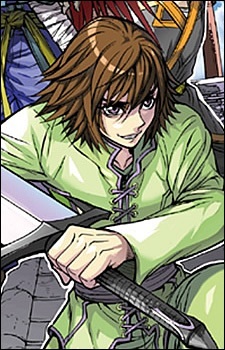 Mostly in the beginning of the series Chung Poong fights his opponents while being blinded with fear. After he survived the brutal tasks at the Seuk Sang cave, he's becoming less of a coward and more of a fighter.